THE 2010 USA Champion First Season Sire Congrats earned high praise from breeders at the 2012 Stallion Parade with some of his first crop Australian foals on show. Congrats first Australian foals are arriving at present much to delight of those breeders who used the stallions services in his debut year. 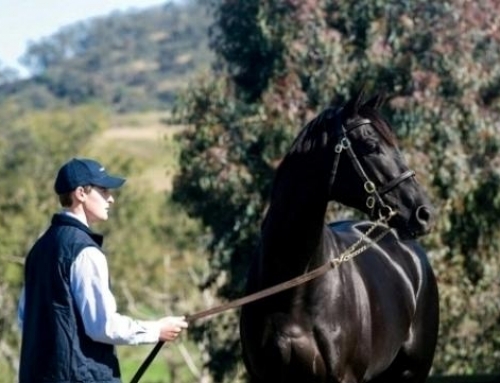 “We were always confident that a horse like Congrats was going to produce good quality foals. We’ve seen it in the U.S for several seasons and the early results here have backed this up,” Adam White explained. “We showed a couple of them at our open day and they impressed everybody that was in attendance. “It was very timely that his daughter Turbulent Descent won her fourth Grade 1 the morning of our stallion parade, she has now won Grade 1’s as a two, three and four year old. Congrats has always been popular ever since we announced he was coming out last season. He has attracted another full book of mares again this season,” White concluded.